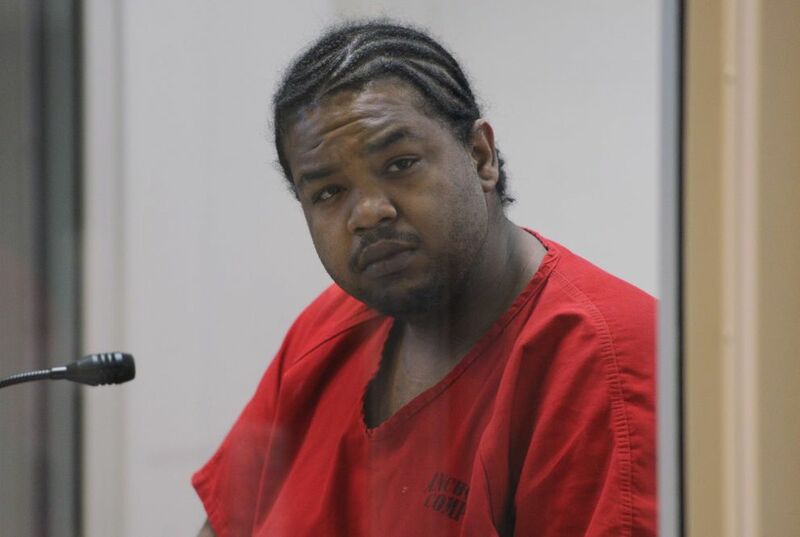 A man arrested in a Midtown vehicular rampage this summer has been charged with murder in the Tuesday shooting of a mechanic at a South Anchorage auto shop and dealership, Anchorage police said. Officers first responded to the 1000 block of East 74th Avenue shortly after 3 p.m., according to a Wednesday statement on the shooting. "According to witnesses, 26-year-old Trevon Allridge came to the shop that afternoon and, for unknown reasons, shot mechanic William Schmaus, age 51," police wrote. "Schmaus was declared dead at the scene." Allridge made an initial court appearance Wednesday at the Anchorage Correctional Complex. A magistrate judge set his bail at a total of $1 million. 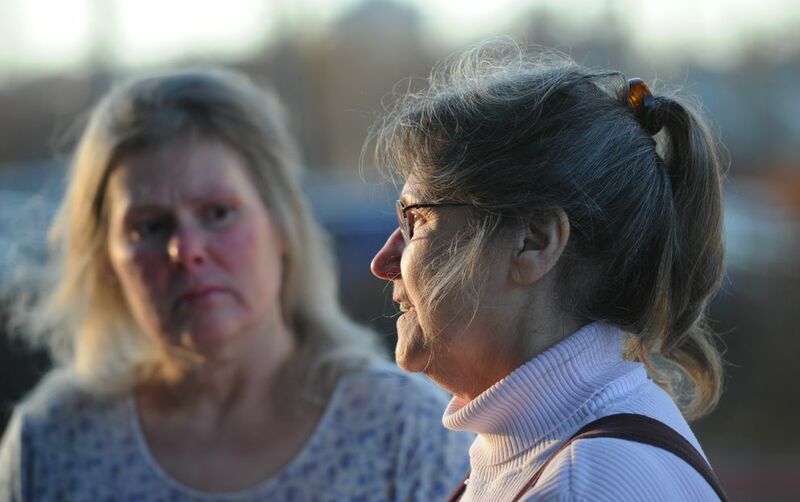 Outside the Anchorage jail, Schmaus' family said they wanted to know why the shooting happened. "I want to know why" Allridge allegedly killed Schmaus, said Shay Castoe, the victim's mother. "What was his reasoning? Why take a life? I don't understand it." Schmaus' sister Randalee E. La Flamme echoed that feeling. There are many unanswered questions, she said. 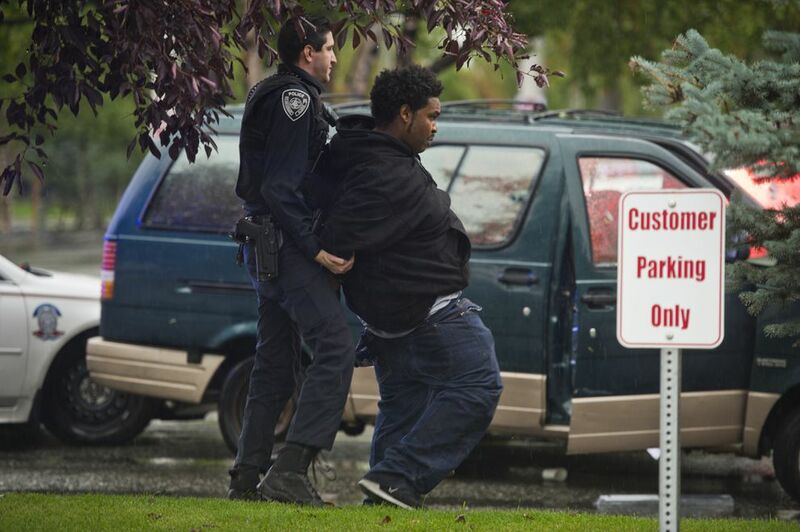 Police said Allridge ran from the scene but was taken into custody about two blocks away. He was questioned at police headquarters but declined to make a statement. "Police have learned that Allridge is an acquaintance of the owner of the shop and has visited the shop numerous times before," police wrote. According to a criminal complaint against Allridge, a witness told detectives he was inside the business when Schmaus was killed. "(The witness) heard a gunshot and saw Trevon Allridge putting a handgun in his waistband," police wrote. "He saw Will fall to the ground." Court records also show Allridge charged with nearly a dozen offenses including assault, criminal mischief and reckless driving after an Aug. 22 chase in Midtown. Police said Allridge was at the wheel of a green van parked outside the Midtown Walmart when officers tried to arrest him on an outstanding warrant, but Allridge slammed past them and drove the wrong way on C Street before being taken into custody. According to court records, Allridge was scheduled to appear in court for a pre-indictment hearing on those charges at 2 p.m. Tuesday. The court also imposed a third-party custodian in that case, records show. 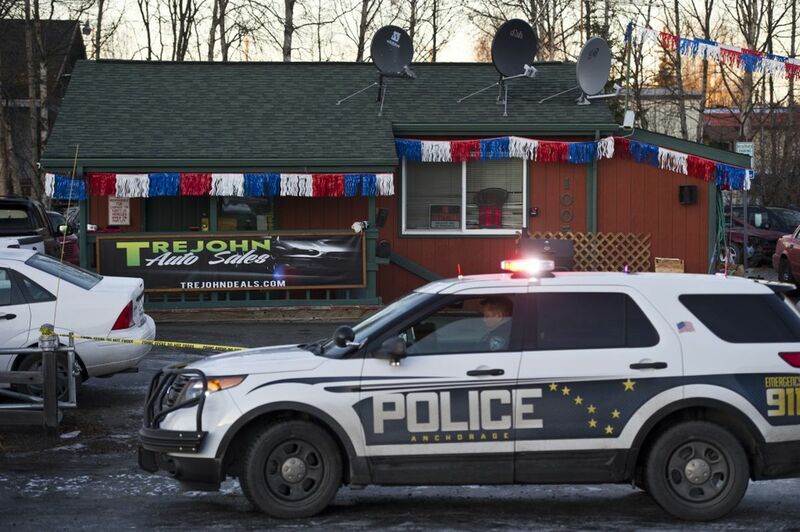 Anchorage Police Department spokesperson Jennifer Castro couldn't immediately confirm the name of the business at which Schmaus was shot, but TreJohn Auto Sales — one of two locations police responded to Tuesday afternoon, along with American Tire on the nearby Old Seward Highway — lists its address online as 1005 E. 74th Ave.
Investigators were still gathering details on the incident, Castro said, but the shooting did not appear to be random. "It's not like he just randomly appeared on this property he'd never been before — he had some familiarity with this place," Castro said. Castro didn't immediately have details on what Allridge allegedly said or did prior to the shooting, or the nature of his relationship with the business or Schmaus. "It appears that they may have known of each other, but it's not clear to the extent what relationship they may have had," Castro said. La Flamme also said she was unsure if Allridge and her brother knew each other, but since the shooting suspect had been on the property multiple times, she does not doubt they were acquainted. A message left with TreJohn Auto Sales wasn't returned Wednesday. Family said Schmaus had been working as a mechanic at the car dealership for several months, but they were not sure exactly how long. Schmaus would come in and out of their lives, Castoe said. Schmaus grew up in Fairbanks, graduating from Hutchinson High School. He first married at 18 and moved to Anchorage with his then-wife, Castoe said. He leaves behind a daughter and four grandchildren, she said. Other than his skills as a mechanic, Schmaus had a passion for stage engineering. He worked with bands that performed at Sullivan arena, setting up lights and operating the soundboard, his mother said. 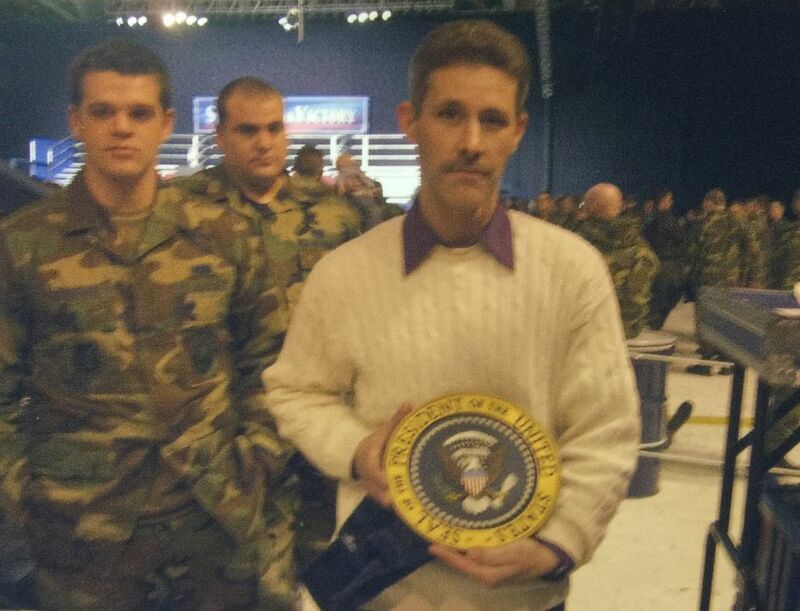 He helped set up the sound system for one of former President George W. Bush's visits to Joint Base Elmendorf-Richardson and received a letter from the president thanking him, which he was very proud of, Castoe said. Moving forward will be difficult, La Flamme said, but the family will focus on celebrating Schmaus' life. "Trevon's parents, they lost a child, too," Castoe said. " And I can understand their grief. I'm sad for them, too."